New Year has started and my girls have been attending new school year since. 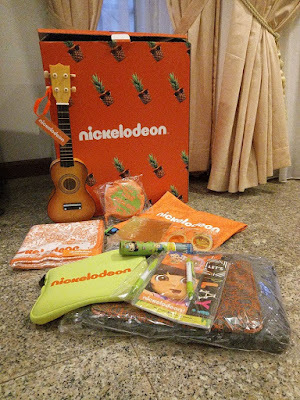 While they are busy gearing up for the new semester, they could still catch brand new episodes of their favorite live action shows that will relate to their life in school, from the all-time favorite super-hero Henry Danger, to music-themed School of Rock, and to tech-influenced Game Shakers, only on Nickelodeon! SUMMARY: Thirteen-year-old Henry Hart lands a part time job as Kid Danger in the town of Swellview, the sidekick-intraining to superhero Captain Man. He promises to keep his new identity a secret from his best friends, Charlotte and Jasper, his younger sister, Piper, and his parents. Henry must navigate a double life after making a promise not to reveal his job. When Captain Man leaves the town of Swellview, Henry must step up to take his place as a kid superhero to keep the town safe. He’s got a lot of responsibilities to juggle, but for the super hero sidekick of the century, rising up to the challenge ‘feels gooooooood”. • HENRY HART Henry Hart just wanted an ordinary after school job, but landed the gig of a lifetime. Now he's Kid Danger, sidekick to Captain Man, and it's his job to keep Swellview safe. As if that isn’t hard enough, Henry also has to keep his identity hidden from everyone except his two BFFs, Charlotte and Jasper. He’s got a lot of super responsibilities to juggle, on top of trying to be a normal teenager, but it’s no problem for the superhero sidekick of the century… Right? • CAPTAIN MAN Captain Man is Swellview's number one superhero. He's brave, heroic and thanks to his father's science experiment accident, totally indestructible. He keeps the town safe from any baddies looking to do harm, but he can't do it alone. That's where Henry comes in! • CHARLOTTE BOLTON Charlotte is one of Henry’s best friends. She's super clever, with straight As in sarcasm and as sharp as a tack! Nothing gets past this gal and it didn't take long for her to figure out Henry’s secret. Now she works with him in the Man Cave and uses her brainpower to help Captain Man and Kid Danger keep Swellview safe— even though they can drive her crazy. Good thing she's great at keeping secrets! • JASPER DUNLOP Jasper has been Henry’s energetic, over-eager BFF since preschool. He lives in the now and doesn’t always consider the consequences of his actions but his heart is in the right place. Now that Jasper is in on Henry’s super-secret, he’s an even bigger handful than before! • PIPER HART Piper is Henry's tech-savvy little sis. She can text faster than a speeding bullet and, because she's never unplugged, usually knows the news before it even happens. From phone to computer to tablet, she's got 'em all (fully charged, of course). Piper can be a bit of a drama queen, but deep down she's got Hart just like Henry. • Catch Henry Danger every Saturday and Sunday at 4pm on Astro Channel 612 and Unifi TV Channel 554. 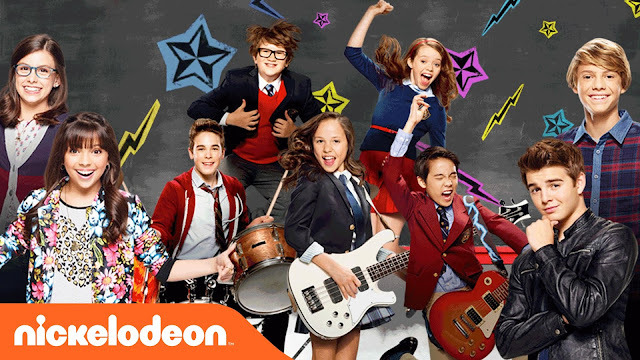 SUMMARY Inspired by the hit movie, School of Rock is Nickelodeon’s highly anticipated live-action comedy series that follows a group of unconventional and over-achieving students at a prestigious prep school. They band together and learn to rock out when they meet the new, down-on-his-luck musician who teaches them to play and love rock ‘n roll. • MR. FINN Dewey Finn is a down-on-his-luck, energetic, 30 year old wannabe rock star, who at the start of the film is kicked out of his own band ‘No Vacancy’ due to his antics such as constant 20 minutes solos and stage diving. When he got a job as a substitute teacher for Horace Green Prep School, he discovers that the students are musically talented and decides to make them into a rock band and compete in the Battle of Bands to revenge his previous band. • FREDDY Freddy Jones is a student at Horace Green Prep School. He is a percussionist of the school’s music class and was made the drummer of Dewey’s School of Rock band. Freddy is more rebellious than other students and dislikes school. However, it is smart and goofy. He often hands out with other rockers in the van to play cards, causing Dewey to cast extra attention on him. • SUMMER Summer plays the clarinet in the school music class, and becomes the manager of Dewey’s School of Rock band. Summer is well-educated, clever, responsible but sometimes sarcastic. 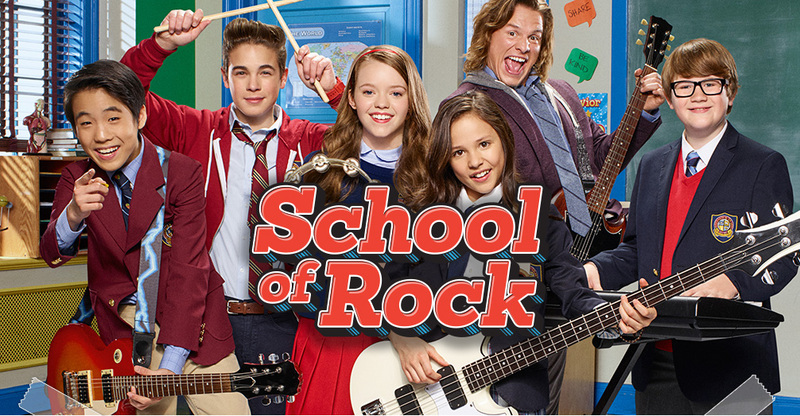 When School of Rock became an after school program, Summer took on a full managerial tone and shoulders responsibility for the musical direction of the band. • TOMIKA Tomika is an African American student at Horace Green Prep School and is a member of the class that Dewey Finn starts teaching as substitute teacher under the name of Ned Schneebly. She becomes the second singer and a choir member along with Alicia and Marta in Dewey’s School of Rock band. SUMMARY When classmates Babe and Kenzie created Sky Whale for a seventh grade science project, they were hoping for a passing grade at best. They never expected it to become the most popular game of the year! Now they're making millions with their insanely successful business. What could go wrong? Will this new deal be a high score or a game over for Babe and Kenzie? Let the games begin and find out in Game Shakers! • BABE There’s a leader within every group of friends, and Babe is that leader. This tough-as-nails 13-year-old does her own thing and doesn’t mind if she needs to step on some toes. She’s creative, confident, quick-witted, and the type of person to fearlessly take initiative and fill everyone else in on the plan later. Babe is a natural salesperson; she can talk anyone into just about anything. • KENZIE Kenzie lacks some of the natural charm and swagger of her science-partner-turnedbusiness-partner-turned-friend Babe, but what she lacks in social skills, she makes up for with her incredible tech-savviness. She can make any of Babe’s wildest dreams for a game come to life. She’s the smartest girl in her grade – just the mere thought of failing a class would give her a brain freak. Actually, pretty much anything could give her a brain freak. She’s nervous and honest; she can never tell a lie. But there’s more to Kenzie than being an anxious tech geek. She has a lot of heart and always wants to please everyone. • HUDSON Anybody who interacts with Hudson is often left wondering how a boy that cute could be that clueless. He plays a crucial role in Game Shakers – his fearlessness and eagerness makes him ideal for research and testing new games. He’s also immune to stress; his trademark giggle often presents itself in tense, awkward moments. • DOUBLE G With 12 Grammies and a huge bank account, Double G is a superstar rapper with billionaire status. He’s impulsive, unpredictable, and determined to have as much fun – and money – as possible. With Babe and Kenzie’s help, Dub rediscovers his love for games… and puts on some awesome concerts in the meantime. • TRIPLE G Double G’s son grew up jet setting around the world with his rapper father and his crew. He’s led an exciting life, by all means, but what he yearns for most is a chance to be a regular kid with friends his own age. He is a true gamer and is tapped into the latest technology out there, so Babe and Kenzie bring him on as a top-notch game tester who knows a hit when he plays one. • Catch Game Shakers every weekday at 4.30pm on Astro Channel 612 and Unifi TV Channel 554.